Rather than viewing the cross as an historical event that will take us to heaven, we ought to view it as a current event containing everything we need to bring heaven to bear on earth. In The Power of the Cross, Tony Evans carefully and pastorally applies the cross of Christ to life today. In three parts, he considers: (1) What makes Christ unique; how Old Testament prophecy and typology looked ahead to Him; and how His humiliation, death and resurrection sets Him apart as Lord, (2)What was accomplished on the cross for us, how it is to be the centerpiece of our lives, and how it's a source of authority for us, (3) What is the power of the cross and the stability it provides, deliverance it offers, the power of its ongoing remembrance, and more. The cross is the hinge of history. How much more, then, is it the hinge of your life? It gained more for you than you may realize; do not make the grave error of overlooking it. 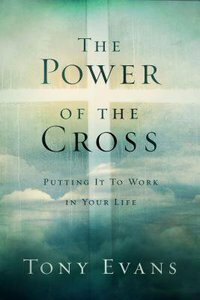 About "The Power of the Cross: Putting It to Work in Your Life"